Even when you are the richest man in the world, you can’t have everything. For Jeff Bezos, that unattainable thing is privacy. Media has been abuzz ever since Jeff and MacKenzie Bezos announced that they would be going their separate ways, with some news outlets discussing the ramifications of the divorce on Jeff’s total net worth, while others discussing the alleged causes which led the two of them to go their separate ways. The announcement came early on in the year, and instead of making separate statements to the media, the two decided to pair up one last time and released a joint statement. An important feature of this announcement is the emphasis on remaining friends even after the divorce is eventually finalized, something which makes it seem like a very amiable end to a 25-year long marriage. There are some celebrity couples which we never thought would ever split up, and the couple of Jeff and MacKenzie Bezos was one of them. However, media outlets were quick to conduct a little research of their own, and what they found seemed to present a very different picture of the entire ordeal. For example, the National Enquirer reported of a possible affair between Jeff and Lauren Sanchez, a former TV anchor, only number of hours after the release of the divorce statement. That was not all. A little while later, the same media outlet claimed to have found text messages of a sleazy nature which had been exchanged between the two alleged lovers, which, as per the National Enquirer, also included what could be termed as lewd selfies of the Amazon CEO. Of course, this warranted a reply from Jeff, who released a statement alleging extortion by the National Enquirer as, according to him, the media outlet was using his selfies as a way of extorting money from him. As evidence, Jeff posted what he claimed were emails that had been sent to him by the executives of the parent company of this media outlet, AMI, and in those emails, the nature of these selfies had been described so as to allegedly force Jeff into making the payment. 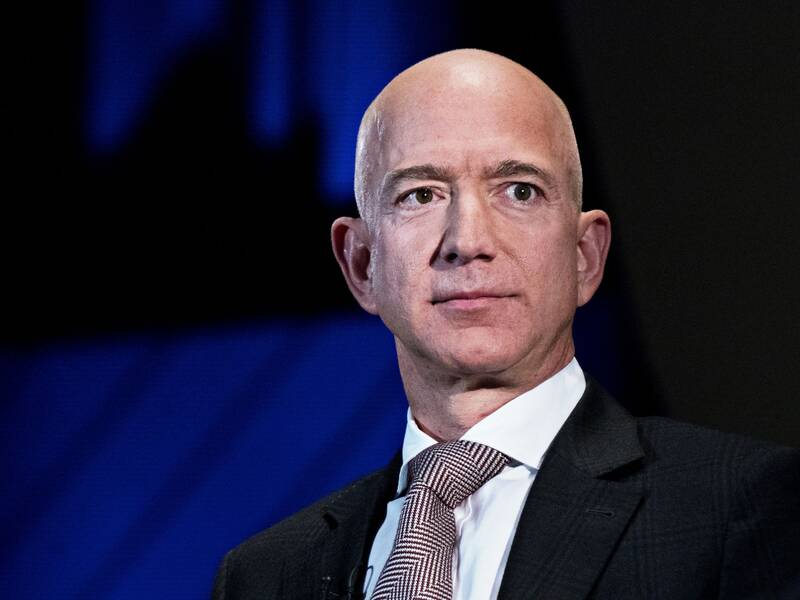 Even though he is the richest person in the world, Jeff Bezos is facing a tough time with the media. Subsequently, AMI launched an investigation into the matter, to verify whether the claims made in Jeff’s post held any weight. What became of this investigation is another matter, but according to the Daily Beast, another news website, the texts and the selfies had been leaked by Jeff’s own brother, as per their sources. However, the authenticity of these claims cannot be validated without any reasonable doubt. The celebrity world is no stranger to the phenomenon of getting divorced. However, there seems to be variation in the ways celebrities choose to handle their relationship after their divorce has been finalized. The recent divorce of Brad Pitt and Angelina Jolie is the perfect example of a relatively amicable divorce, while the divorce between Larry and Laurie David is one of the friendliest we know. For celebrities, it is much easier to end things on good terms, at least in front of the media. It helps them avoid a lot of media scrutiny into their personal lives, which can be very intrusive. Also, when couples are also heading a few projects together, a friendly divorce is good for business. Whether Jeff and MacKenzie Bezos will remain as close as they had been for years is something only time will reveal. However, it is definitely good for business if they remain on friendly terms. A major aspect of the Jeff and MacKenzie divorce which is being discussed by the media is the division of the $137 billion fortune which Jeff has amassed with Amazon. To maintain shareholder confidence, it is imperative that ownership of Amazon remains unified. Even a slight shakeup can result in the loss of billions of dollars in equity. But MacKenzie Bezos does deserve a major chunk of the company, considering the fact that she was instrumental in its development. When the company started back in the ‘90s, it was MacKenzie who drove the pair to Seattle, which became the first city that Amazon opened its offices. In fact, as per an interview which was taken by Wired back in 1999, MacKenzie was the one to negotiate the first contracts for freight for Amazon, which makes her instrumental in the starting phase of Amazon as a company. What Are The Rights of Crime Victims?